A celebration of the divine feminine. Welcome to The Womanhood. A course for empowerment and embracing all that it is to be a woman through asana (physical yoga practice), mantra, meditation, movement and female community. 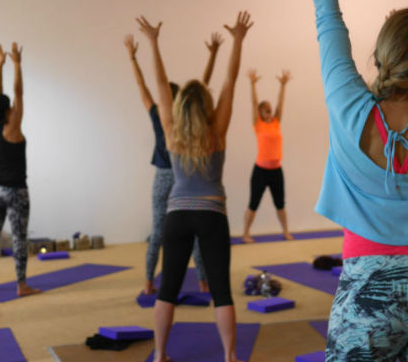 Together we will nurture a sisterhood of like-minded souls who want to work with their bodies to build confidence and gain a deeper understanding of yogic practices, whilst making a connection to magic, mystery and the moon. Taking your deep understanding of your feminine self and connecting with nature. Learning about how the cycles and rhythms of nature fit with our own cycles and rhythms. Taking the time to connect with each other; with partner work, chat and relaxation. With all our knowledge and practice from the course so far, this last week inspires us to feel empowered to embrace our womanhood – using sound, movement, breath and a few surprises! Drop ins are very welcome indeed!